This third post in the five-part series "eating down the food web" emphasizes appreciation of differences and nuances, key to quality of life and all aesthetics. Preserving or enhancing quality of life, which at its best is known as Beauty, is possibly the most important task for global stewardship. Quality is increasingly threatened by a host of human-caused factors including loss of natural resources (forests, fresh water, native species, genetic diversity), overpopulation, pollution, loss of habitat, global warming, ocean acidification and more. Quality is the central theme connecting all posts for this blog. Increasing awareness of the critical effects of even very small changes in the heritable pool of DNA or habitat of individuals and groups is the object of this particular series. Six plants from the family Apiaceae are differentiated as an exercise in increasing awareness of deep biodiversity (genetic, individual, species, families, etc. ): The Apiaceae (Umbelliferae), commonly referred to as the parsley or carrot family, is a group of mostly aromatic, hollow-stemmed plants. Apiaceae is the sixteenth largest family of flowering plants, with thousands of species. Six of the best known spices from this family are featured in this series: anise, coriander/cilantro, cumin, caraway, dill, and fennel. Many of these are considered by the average chef as more or less substitutable or possibly even dispensable. But as we move down the food web and foods become less appetizing, the discerning use of a rich variety of spices may make the difference between foods that are experienced as good, bad or even ugly and unpalatable. The previous post proposed cumin as the umamiest spice, likely to trump black pepper as number one spice by 2050. Why should cumin trump black pepper? Why should anyone care about issues as seemingly trivial as which spice is the most seductive when we are fighting for the very survival of so much of our food (aka biodiversity)? What does this have to do with the food web? Like all the topics in this blog, spices directly relate to deep changes in our global ecosystem that affect quality of life. Food lower on the food web is likely to be of lower quality, and that applies both to wild fish and farmed. Myriad articles compare farmed to wild salmon, and so far, farmed come up as lower quality overall: less tasty, fattier, more toxic, and less nutritious. First, the alerting implications of changes in preferences for specific spices. Spices can be used as an indicator of what is happening in the world of food, which includes the industrial agriculture and fishing industries, our menus, and the sources and qualities of the foods that make up menus. Changes in world food habits tend to reflect broad spectrum ecological, economic, social and individual changes. A transition from pepper to cumin reflects a change in food needs. 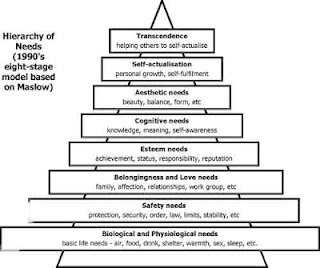 First in the hierarchy of needs and desires comes the need to find available food sources for daily survival, then the desire (need) to make food palatable, last to preserve it. Later comes the need for culinary satisfaction, along with kinds of satisfaction, such as rendered by savoriness. Much later comes the need to re-awaken the senses and the need to make sense of the whole concept of what is a need. Food, which is fundamentally about the nutrients required to build and maintain bodily functions, is essential to life, along with air and water. In the post industrial world, our desires and needs are for the most part not about food required to survive, but about food that makes us feel life is worth while. 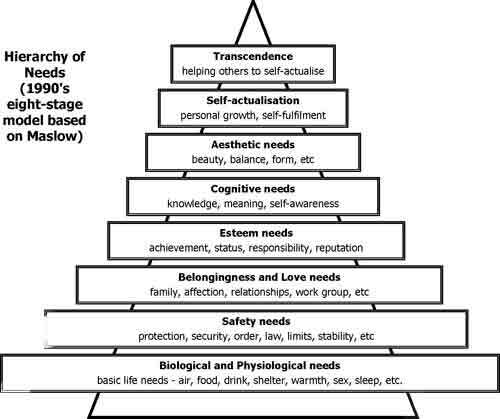 Homo sapiens, topping the cognitive niche, is not a species destined for enduring satisfaction. Spices that render the bland satisfying will prove attractive for a while, but not for long. Homo sapiens is the ultimate dopamine-dominated species: seeking, wanting, desiring more, never being satisfied by anything for more than an instant. The biggest high and the greatest reward are in the search, not in the finding. This biological program is the source of promoting Homo sapiens to the top spot in the cognitive niche. We are not driven by the desire for satisfaction. So if cumin satisfies, and satisfaction is biologically programmed to be fleeting at best, what then? Well, for the context of today's post, what lies beyond umami and satisfaction, is variety, risk, and uncertainty, which also all fall under the dopamine umbrella. When salt pepper lemon paprika cumin and garlic fail to move our sensory systems, coriander may still captivate senses. Coriander is especially interesting because the leaves of the plant have one rather floral/herbal profile and set of uses, and the seeds evoke a significantly different heady orange-zest profile. Cumin is umamiest, and coriander is the heady Twofer. Coriander is one of the top notes, along with Bulgarian rose, in the perfume "Le Feu d'Issey", which has been described as "wonderfully weird"; the image at the top of this post features this perfume. This informs us because we are creatures taken in by first-blush seduction. Top notes beckon, intrigue, seduce. In the world of eating down the food web, we will be longing for such spices, since, as I claim above and throughout this blog, more than anything else, we are driven by the search for the unknown. Two other of Le Feu's heart notes are Szechuan pepper and golden Japanese lily, both providing warmth and spicy heat. (Pepper is the world's top selling spice.) The perfume's base notes are made up of musk, milky amber and Gauai, with woody, earthy notes (woody, smoky, balmy). While both recipes below echo to varying degree's Le Feu's leads, the second is one I have not yet tried, but it looks demanding and worth it. I'll let you know when I have tried it how I evaluate this recipe. A snapshot of this exotic perfume's elements is useful for our purpose. The top note includes anise, the subject of the fourth post in this series, along with fennel. As a stand-along, anise is an enormously ambivalent spice for food use, but as a complementary background spice, it proves enriching qualities. More next post. Remember, awareness of even small differences is the object of this series. The ultimate example of how big a difference can result from a minuscule difference is the prototypical example of sickle-cell anemia, where one small DNA alteration totally changes the probable life outcomes of the bearer of this mutation as well as his or her descendants. Coriander, like anise, another member of the parsley family which is the featured group of herbs for this five-part series, is considered a complement-type spice, not a stand-alone spice like cumin. Coriander has at least three profiles, one for the leaves, several for the seeds. Coriander seeds are the queen of seduction, whole, crushed or toasted: from light and citrusy, floral, sweet, lemonol. rose-like, non-easily pegged, to exotic and animalic. Coriander leaves are simpler, herbal, flowery and lemon-thyme, with subtle nuances. Each has its applications. For the dopamine species, cumin is king, but coriander is queen, the longer-lived power behind the throne. To complicate matters further, when the king tires of coriander, he looks to fennel or dill to satisfy his desires. See the next post. Why will cumin trump black pepper? What's wrong with satisfaction? Black pepper is the world’s best selling spice is for a variety of reasons. Those relevant to this post are these: black pepper is piquant, which awakens the sense, and makes us feel, if only for a moment, more alive. Feeling alive is unarguably one of the feelings evolution has selected for. In the past, many foods were highlit with piquancy spices such as cayenne or any member of the peppers in order to preserve quality and spark taste. Spices like black or red peppers are as a rule uppers: they awaken the senses. From an evolutionary perspective, in the early stages of a species' lifespan, awakening is crucial: each member of each species needs to pay as much attention to everything that is happening in order to mark what is crucial to survival and what is not. Over time, species tend to prioritize groups of stimuli according to what has proven to affect them most. Survival issues such as shelter and food become over time for humans, as a rule, matters of quality, or aesthetics. While it is sadly true that there are areas where humans are starving to death, this is not the rule, and for those of us in the Central Coat, where this blog is contexted, lack of food as the cause of non-survival of a group is rare. In later stages of economic developments, spices essential to survival or preservation are not the most important considerations Black pepper is an awakening early survival spice while cumin is a mid-stage maintenance-of-faculties spice. Last stage spices are still up for grabs, but I propose coriander as one. Given the biological make-up of human beings, how important is the experience of individuals being wholly satisfied to the future of our species? I would venture: not that much, but still not at all negligible. Being satisfied is not key to the survival of our species. But living without satisfaction also reduces the likelihood of individuals (species) being driven to excel. More important than satisfaction, which is fleeting, for the survival of a species and ecosystems (composed of many species) is being curious, motivated, and challenged to do better. The neurotransmitter of choice for our species is Dopamine. Dopamine is involved in every process that the organism considers important, as well as many considered critical by Evolution: seeking, hoping, planning, remembering importance, and using that memory to plan for the imagined future. The operative question for today’s post is this: is there more to life than being wholly satisfied? To put this question in its rightful context: spicing up the descent down the food web will require both discrimination and variety as blander and less appetizing farm-raised post industrial foods dominate the markets.